Virtual-Hideout.com: How Much Money Do You Make While Pooping at Work? How Much Money Do You Make While Pooping at Work? West Valley, Utah - Bomdigular Apps today is thrilled to announce the release of PoopTime 3.0 for iOS, an update of their restroom time tracker Entertainment application. Filling a void in the marketplace, PoopTime gives users a fresh perspective and an accurate look at the impact of bathroom breaks at work. Now available for iPad and designed to keep track of wasted time and money earned while using the facilities at work, PoopTime is a unique lavatory behavior time tracking tool. Upon first using the application, users enter their current wage to precisely track money earned. This wage amount is saved for subsequent facility breaks and is easily edited, should the wage change. Users press start to start a clock that counts up the money you are currently making and the time you are currently wasting. The application immediately begins tracking and displaying the dollar amount earned, to the penny, and time spent, to the second. Users tap the "Stop Time" button to stop the timer. Users can save by tapping the retro floppy disc icon. Saving a session allows that data to be included in a user's statistics. PoopTime's restroom-themed artwork, which includes information on rolls of unwinding toilet paper and "piles" of cash, presents user data in an easily palatable form. 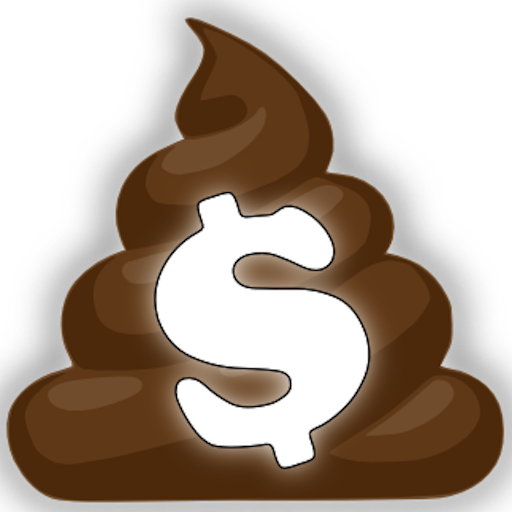 On the Main page of PoopTime, users are given a number of data fields to analyze their habits, including: Last Use: Money made, Time wasted, Total Money made, Total Time wasted, and Longest Poop. In addition, users may access their past information by clicking on the All Poops tab. Information in All Poops includes the Time, Date, Money Earned, and Time Spent for each past use. New features added in PoopTime 3.0 are Poop Jokes and Poop Facts that are easily accessed from the tab menu at the bottom of the screen. These Jokes/Facts are great ways to help pass the time while using the facilities. An easy reset button allows users to clear all data if needed and individual events may also be easily deleted. PoopTime has benefits to users, beyond entertainment. Users or employers may track breaks to get an accurate look at either money earned, or money lost. In addition, users who have medical conditions, such as Crohn's Disease, may track their lavatory habits to share with medical providers. In addition, users who would like to track their elimination habits as they relate to diet or other health factors may do so with PoopTime. A Sharing button allows users to share their PoopTime Statistics via Facebook,Twitter, and email creating a unique opportunity to brag about one's bathroom habits. "PoopTime is the best way to keep track of how much money you make while using the restroom at work," stated Bomdigular Apps' Brad Hintze. "Compete with your friends. You'll be amazed at how much money you earn!" 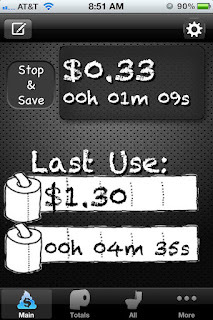 PoopTime 3.0 is $0.99 (USD) and available worldwide exclusively through the App Store in the Entertainment category. Based in Salt Lake City, Utah, Bomdigular Apps was founded by Bradley Hintze in 2010. Bomdigular Apps is dedicated to providing quality apps that fill a void in the marketplace. Copyright (C) 2010-2012 Bomdigular Apps. All Rights Reserved. Apple, the Apple logo, iPhone, and iPod are registered trademarks of Apple Inc. in the U.S. and/or other countries. Other trademarks and registered trademarks may be the property of their respective owners.